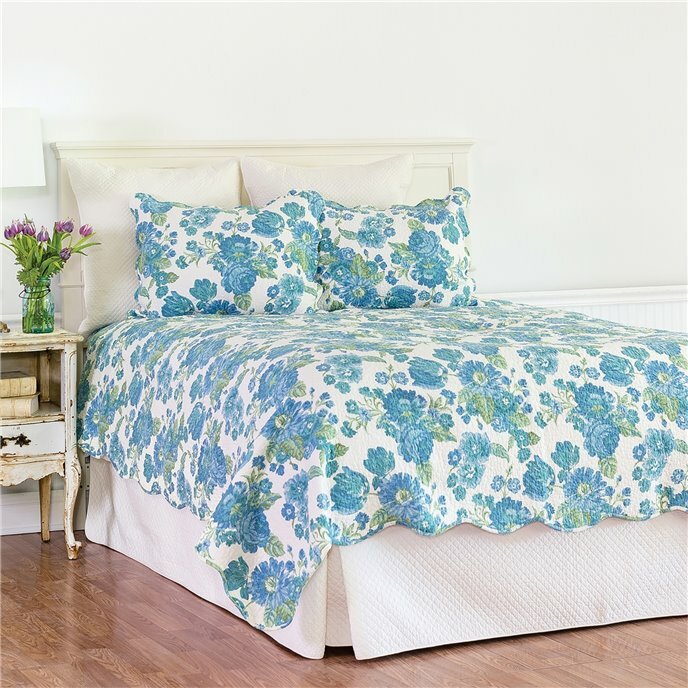 The Laurel King 3 Piece Quilt Set has lovely flowers in shades of blue with green leaves on a pearl white background. Quilt reverses to a blue ticking stripe. Shams reverse is plain fabric in the floral print. Scalloped edges with self binding trim. Set includes one king quilt, 108"W x 92"L and two king shams 20" x 36". We offer the complete ensemble in the Laurel pattern by C & F. Manufacturer's UPC code is 008246500568.